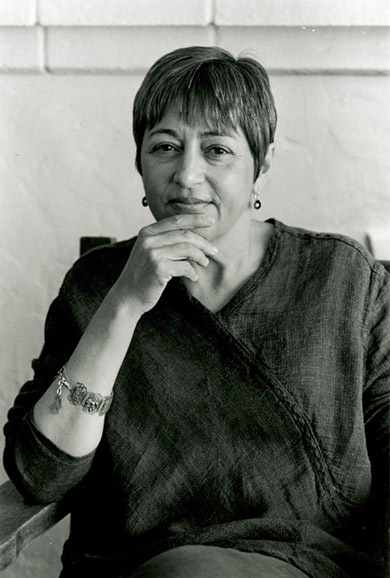 Toi Derricotte’s poems speak pain plainly. A wince from long ago when her father dangled her by her hair for failing to clean her plate. The deep ache of her grandmother trying to pass for white in Saks Fifth Avenue in the 1940s. And the torment of insomnia – wee hours of the morning full of anything but sleep: raw nerves, to-do lists, stubborn grudges. In her poem “Invisible Dreams”, Derricotte’s lines embody insomnia, give it a color (rust), map out the suffering of leaden bones, name the smell of an ocean of decay. Derricotte has an ability to take the personal and make it, if not universal – there are a few who blissfully sleep through every lucky night—then open to many. Born a light-skinned African-American girl with “good hair” into a family of undertakers, Derricotte started writing poetry at age 10. She now teaches English at the University of Pittsburgh and has written five acclaimed books of poetry and a memoir, The Black Notebooks. Just this year, she won the PEN/Voelcker Poetry Prize. On Nov. 2, Derricotte will read her work and talk about the legacy of the late poet Lucille Clifton in HoCoPoLitSo’s opening event for the fall, the Lucille Clifton Poetry Series. We’ve called the event “Good Times”, after one of Clifton’s famous poems of dancing in the kitchen when the rent is paid and the electricity is back on. While we probably won’t be dancing (though who knows? ), we will celebrate the power and light of Lucille Clifton, who was HoCoPoLitSo’s artistic advisor for years and taught many poetry workshops at Cave Canem, the writers’ retreat program Derricotte co-founded. A new collection of Clifton’s poetry – a sturdy volume with many previously unpublished poems – came out last month and it reveals plainly the pain and joy in Clifton’s work. Derricotte, also, has survived to write her own poems of prevailing over things that want to kill body and spirit. Heavily influenced by the confessional poetry of Sylvia Plath, Derricotte writes personal poetry. And much of it is painful – working out abuse by her parents and rage over that kind of childhood. But her latest collection, The Undertaker’s Daughter, seems to work through the anger at her parents and ends with glimpses of joy and peace. On Nov. 2, join HoCoPoLitSo for good times in this time of craziness, to help salvage our spirits with poetry, sometimes painful, sometimes joyful, from Derricotte and Clifton. Tickets for the event, Friday, Nov. 2, at 8 p.m. in the Monteabaro Recital Hall (HCC campus), are available at http://www.brownpapertickets.com/event/280070. Admission is $15, and $10 for seniors and students. For information, call 443-518-4568.
a stink on the rocks of my teeth. is in me. I can’t get rid of it. washing over the insides of me. like the arms of someone dead. after a long, hard death. capture myself in a book. can smell myself in myself. By hocopolitso in Event on October 24, 2012 .